A politically very savvy colleague said, “This is a helluva thing-no. Their saffron thugs go and damage and devastate whole villages…..And we have to pay the cost of reconstruction.” He was referring to the 200 million rupees the President had approved for the military driven reconstructions in Aluthgama-Beruwala-Dharga Town areas. That money is obviously tax payers money and it is public funds. Contemplating on that very apt statement, I thought the best would have been to confiscate all funds, property and assets owned by BBS leaders individually and collectively and turn them into rupees and cents for reconstruction. If there was still a deficit in bridging the gap for costs, then allocating public funds can be justified and accepted. Accepted for the reason, such racially and religiously instigated violence thereafter would not be attempted by any. With social media also coming under the scanner of defence authorities, we are heading to a future that should not be our future. It is a disturbing trend now to see the army being deployed for work that’s exclusively civilian. From city beautification to ethno religious co-existence, from wayside cafés to the hospitality trade, from dengue eradication to reconstruction of devastated villages, and now to control social media, the military is being sent for almost everything the civil administration and civil agencies are responsible for and have to be entrusted with. There is no legal or social validation in any such trespassing of civil life. How constitutional and legally valid the power said to have been given to the army “to arrest and take legal action” as reported by the Ceylon Daily News (CDN quoted above) is, would not be tested by any HR defending agency nor by political Opposition. They certainly go unchallenged, here in the South. The very deployment of the military in civil work, goes without any discussion in the Sinhala society, without questioning and quite timidly accepted too. That in a way is clear proof, the Sinhala majority accepts militarisation. That also is proof, the Sinhala Opposition as a whole gives into militarisation without even a grumble. In 2010 they played sucker to this dangerous ideology, only wanting political power at any cost. The Sinhala Opposition – the UNP and the JVP – including everyone else wanting a mere face change for a regime change, fielded army Commander Fonseka who claims he led the bloody savage war from the front, as their Common Presidential Candidate. That campaign to install this seasoned army commander as Executive President of the country, was purely on the argument he was the most qualified “Sinhala patriot” to compete against President Rajapaksa, for war credits. The campaign led by both UNP and JVP, with Sarath Fonseka projected in full military regalia, conceded the military is well disciplined, perfect in planning and super efficient in executing any project. The conclusion of the 30 year war was proof for that, deduced most public arguments. All this added undue quality and unfounded credibility to the image of the army that otherwise would have been just “war heroes” for the Sinhala South. The malleable Sinhala mind was beaten into hero worshipping, by both the regime and its Opponents alike. In the absence of a second opinion in society that warned of militarisation as a suicidal trend against democratic life, militarised politics has come to stay. The Opposition is now left mum, unable to say they made a big bloody blunder at the 2010 presidential polls. They are therefore unable to campaign even for the main recommendations of the LLRC that with a strong endorsement, request the military should be removed from all civil activities, as rapidly as possible. They – the UNP and the JVP – don’t want themselves identified as political parties that campaign for LLRC recommendations in the South. Neither the UNP nor the JVP leaders demand replacing of former military officers as Governors of North and East. They don’t support the TNA in demanding civil administration for North-East. South therefore lacks a political platform to enlarge and extend the call for demilitarisation of society. Both UNP and JVP thus remain as Sinhala opposition parties without an alternate programme that could progressively move society into a functional democracy. Most often now, the Sinhala Opposition and even most HR defenders say, the affected people can not afford to stay displaced and the fastest remedy is to deploy the military for reconstruction. Muslim people who were not consulted (people were substituted by few “leaders”) on deploying the military for reconstruction, is taken for granted as willing beneficiaries of this military intrusion into their life. 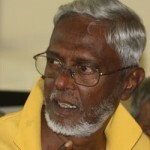 The question as to why the Tamil people in the North, in the Vanni displaced for long and bleeding decades want the military removed and their reconstruction given to civil administration needs to be revisited, if military is allowed for the same work in traditional Muslim areas in Beruwala, Dharga Town areas. This military that’s deployed at the whim and fancy of the MoD, is not the ceremonial army of the 1950’s. Its not even the army that attempted a Coup in 1962. This is a battle hardened, blood stained military that went through every aspect of a bloody violent, protracted war for 30 years. This is a military that had not been through any “Re-socialising” programme thereafter in the post war years. To task them with responsibilities in civil life they should not be tasked with, is therefore suicidal even in the mid run. Yet they are brought in more and more into civil life. Brought for physical work, social supervision and regulatory work, apart from economic activities they are allowed into. Public funds that should go to civil administration for work that has to be handled by civil agencies are channelled to the military and security forces for work in civil society. The military would not take themselves as just contract labour. They are also not sent just for that purpose alone. Within contracts in civil life that seem innocent, are surveillance and intelligence responsibilities too. A battle hardened military never trained to see the difference between the State and the Government, would not see any difference in protests, dialogue and discourses and in statements made against the government, as a democratic fact of daily life. Democracy and rule of law is defined according to their share in executing political power. What needs to be stressed further is the fact security forces along with the police are accused of partisan treatment based on ethno religious identities. Its this stress and strain on daily life, the Tamil people in the North, in the Vanni does not want. This military presence seriously threatens democracy and freedom in society and the right to association, as social activities that threaten the authority the military is tasked with. 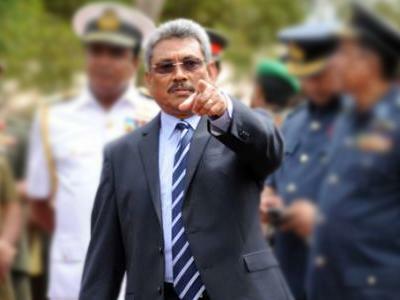 Defense Secretary Gotabaya Rajapaksa ordering security authorities to take stern action against those who espouse racial and religious hatred using social media, as reported by Ada Derana on 28 June 2014, is not mere administration of a collective media activity, though he himself says in an interview to the DM, “hate speech” is not easy to define. This order comes in, when mainstream media with no distinction between “State owned” and “Privately owned” media behave within the political para metres set by the Sinhala ideology shouldered by this regime. This intrusion into social media presence by Secretary to MoD comes, while the Secretary to Ministry of Media and Information remains the right authority to talk of media ethics and freedom. His intrusion in a way explains why Media and Information Ministry Secretary Herath avoided (at the “SMColombo” forum) discussing the silence in mainstream media that left a huge space for Social Media to take over in reporting of events that resulted in Aluthgama/Beruwala tragedy. With social media also coming under the scanner of defence authorities, we are heading to a future that should not be our future. We are heading to a future where civil life is being subordinated to military regimentation. Irony is, that future seems welcomed.